Maybe you want to identify Pokemon Go players so you can avoid them like a nasty Raticate. Or maybe — just maybe — you’re enjoying the game so much that you want to find other players to hang out with. So here’s how you can tell someone’s playing Pokemon Go and not just texting on their phone. 1. They hold their phone up like they’re about to take a photo, but instead they keep swiping awkwardly at their screen. If you feel uncomfortable because you think they’re taking a photo of you, don’t worry! That is, unless it’s some creep pretending to play Pokemon Go just to get a photo of you. 2. They wait for the light to cross the street, but decide not to cross when it finally changes. Perhaps they even stay on the island in middle of heavy traffic because it’s a perfect spot between a gym and a lured Poke Stop. Can you think of any other reason someone might stop and stay there? Maybe if they were being chased by zombies on one side and aliens on the other. I think Pokemon Go is the more likely scenario. 3. They walk half a block, staring at their phone, then turn around. If they look up, maybe they’re a tourist looking at Google Maps and trying to find an address. But there’s a good chance they’re looking at the Nearby Pokemon list and trying to follow a specific monster. Since the game doesn’t offer much in the way of assistance, you might see them going back and forth up the same block over and over and assume they’ve lost their mind. Maybe they did! Maybe we all did! 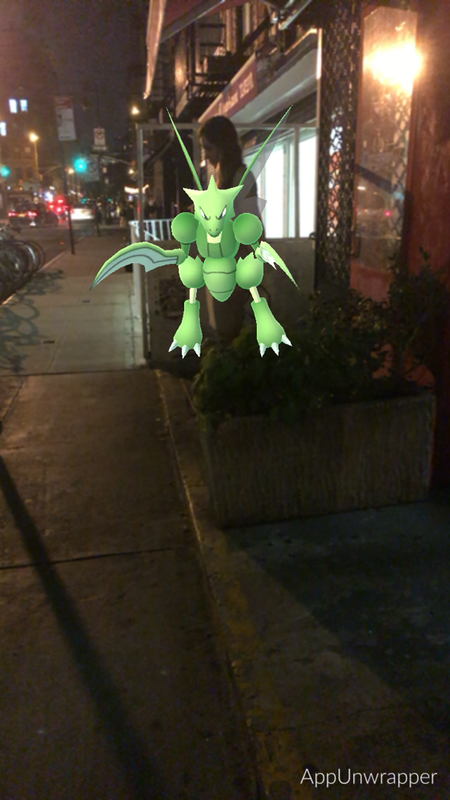 Was I taking a photo of the Scyther here or the woman behind him? 4. Their phone is plugged into a portable battery pack. Granted, I’ve been using one of these since I bought my first iPhone. But most people don’t walk and play games at the same time, destroying the battery. Or, at least, they didn’t until now. If you’re a clothing designer, now would be a great time to bring women’s cargo shorts back into fashion! 5. You see a group of grown adults all excited about the Pikachu they just spotted. Unless you saw an actual real-life Pikachu, it’s a pretty safe bet that they’re playing the game. 6. They say they’re training at a gym but they never actually go inside a building. And if they do work out, they’re getting training tips from an invisible Machamp. 7. They’re hanging out in a spot where people don’t usually hang out and they’re not smoking or selling weed. 8. They’re angrily shaking their phone, cursing and muttering under their breath while refusing to leave the seemingly random spot they’re standing in. This is likely due to the incredibly frustrating server issues. If a person gets kicked off the server while they’re trying to catch an even slightly rare Pokemon, they’re not going to want to leave that spot no matter how hungry or tired they are. You might even spot one using a tent! 9. But if you realllllly want to meet other PoGo players, the surest way is to find an area with lots of Lure Modules installed! Everyone I’ve met while hunting Pokemon has been super nice and never rude, which is really odd for a place like New York City! But in all seriousness — be safe out there and don’t be too worried about looking like a weirdo! 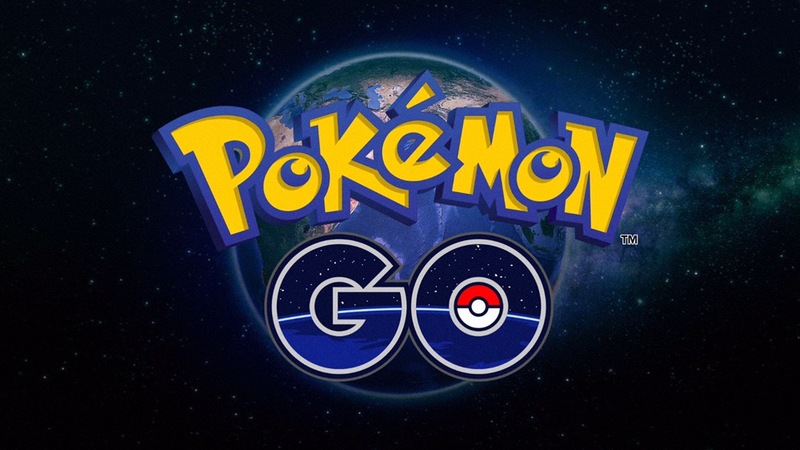 Check out my walkthrough guide for Pokemon GO tips. See my impressions of the game so far. Mother driving her two kids drove passed, stopped reversed came back and bagged the Snake!